Jaisalmer is one of the last big towns in Rajasthan which is situated closest to the India - Pakistan border. Standing in the heart of Thar Dessert this Golden city is famous for the famous Sonar Quila (Golden Fort) which is built with yellow sandstones. 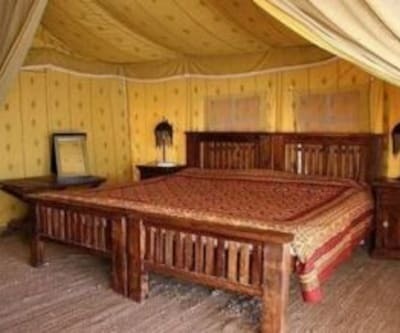 A Camel Safari in the sand dunes of Jaisalmer will gives you unforgettable memories for life time.Suryagarh is one of the Best 5 Star Hotels in Jaisalmer. Located at 15 minutes distance from Jaisalmer Fort, the hotel serves its guests an array of plush services and relaxing experience. 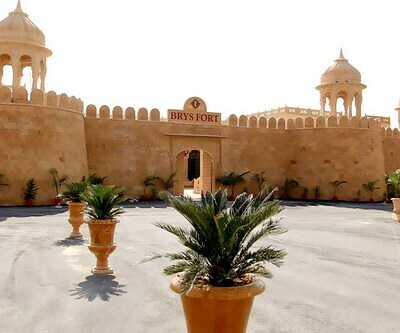 The magnificent Rajasthani architecture of this hotel gives its patrons a feel of being a Maharaja of the Jaisalmer. The rooms of the hotel are fitted with all impressive wall colors,large windows and royal furnishings that adorn the interiors of the rooms. Guests can rejuvenate at swimming pool, Spa and with Billiards table. 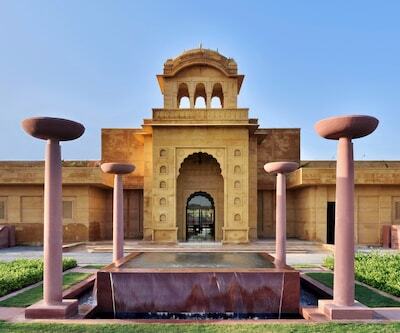 Patrons can relish an array of delicacies at in-house restaurant-'The Legend of Marwad'.Travellers to this Golden city can also make their accommodation at hotel jaisalkot, which is among Luxurious 5 Star Jaisalmer Hotels. The interior of this property reflects supreme class and elegance in decor. The rooms of the property are lavishly designed and are decked up with the finest furnishings and comforts. The patrons in these rooms feel pampered with the touch of extravagance and flamboyance. TV, electronic safe, telephone, coffee, tea maker and coffee maker are some of the contemporary amenities that serve an array of conveniences to the visitors. Guests can pamper their taste buds at in-house restaurant that's serves an array of mouth-watering delicacies from around the world. There are two dining options in the property.Guests can enjoy their evening at the on-site bar that is well-stocked with choicest selections of liquor, cocktails and mock-tails that will surely make the moment light for their guests. The property also has an attractive banquet space where one can conduct various outstanding social gatherings and events.